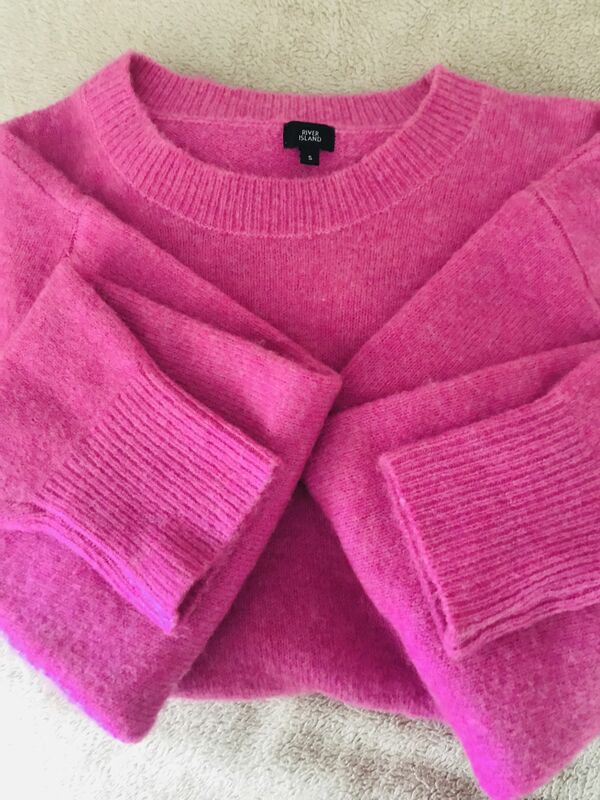 It’s slouchy, it’s soft , it’s fluffy and it’s lipstick pink! What more do you need! I saw this hanging at the front of the shop and I was already mentally carrying it out of there in my shopping bag! It’s the ultimate winter knit and the perfect throw on piece as well as a great mix and match option. 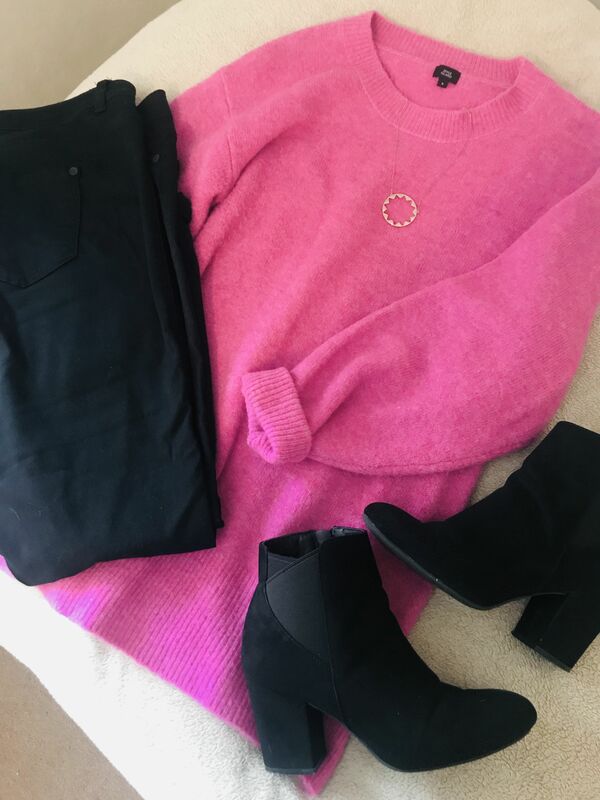 Wear it with skinny jeans and ankle boots or converse for a casual look or pair it with a leather pencil skirt and heels or boots for a dressier alternative with a bit of an edge. You could even clash it with some leopard print if you really want to be bold! 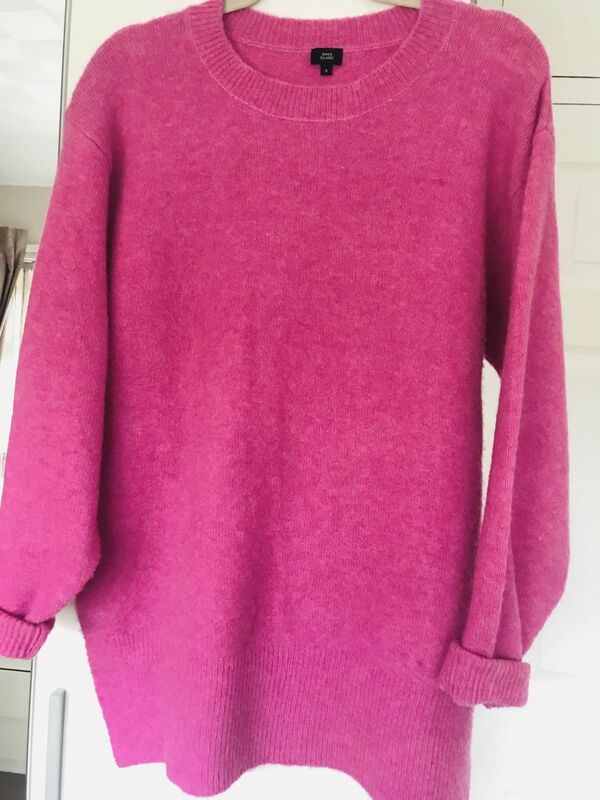 The jumper is a really simple style with a round neck line and side splits for extra detail, its slightly oversized so it has a nice slouchy feel and it is a nice slightly longer length too. 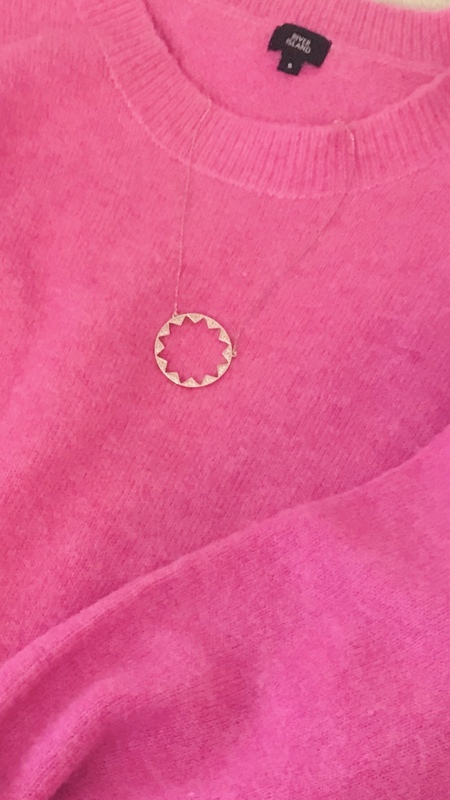 It does come in a selection of other colours, but this beautiful shade of pink really stands out. It is a statement in itself but if you want to accessorise it a little bit, just add a simple necklace or choker or some layered bracelets and a simple watch. Add a pop of pink lipstick if you want to create a dressier feel or a bolder look. 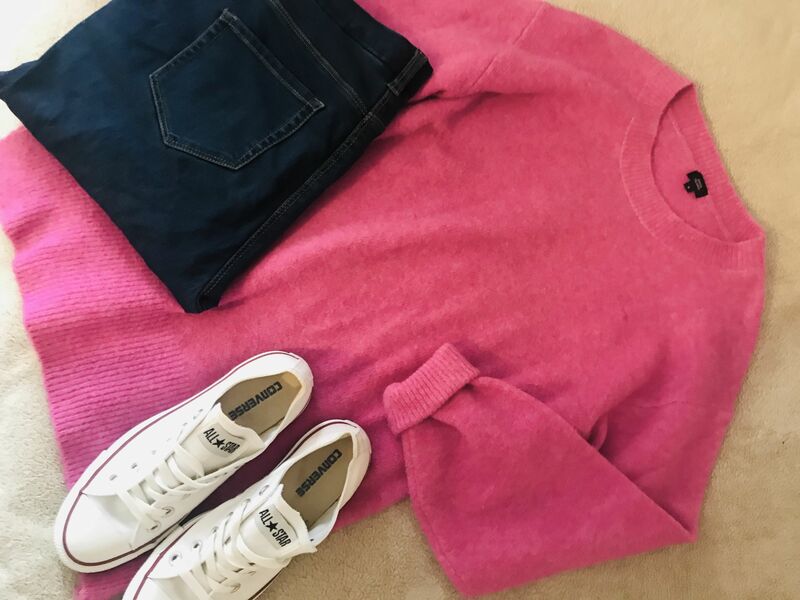 A bold knit is a great way of introducing colour to your wardrobe in an easy to wear way and also a great way of trying out the trend.